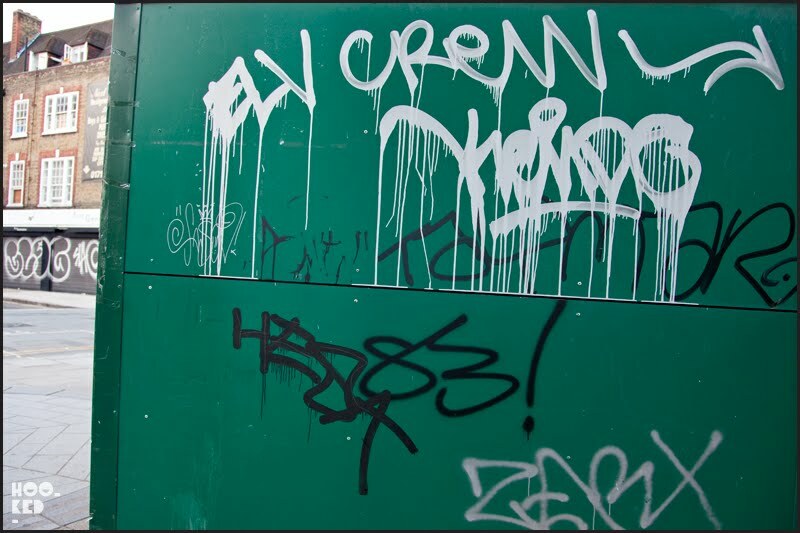 We took a stroll around Shoreditch and Brick Lane with our camera with us and below are a selection of some street art and graffiti that caught our eye on our travels. 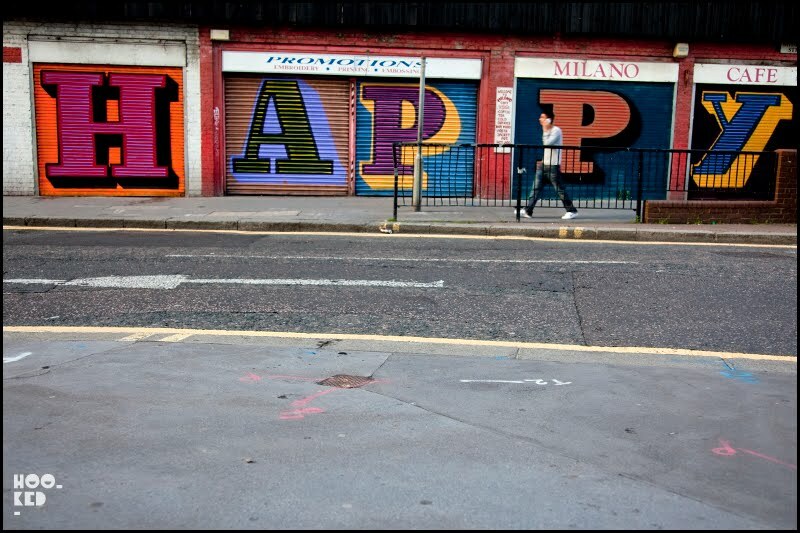 Pictured above: Street artist Eine is 'HAPPY' in East London with a series of new letter shutters painted just off Petticoat Lane Market in East London. The wall is of this Sclater Street car park is forever changing, especially the lower levels so makes sense to go high! 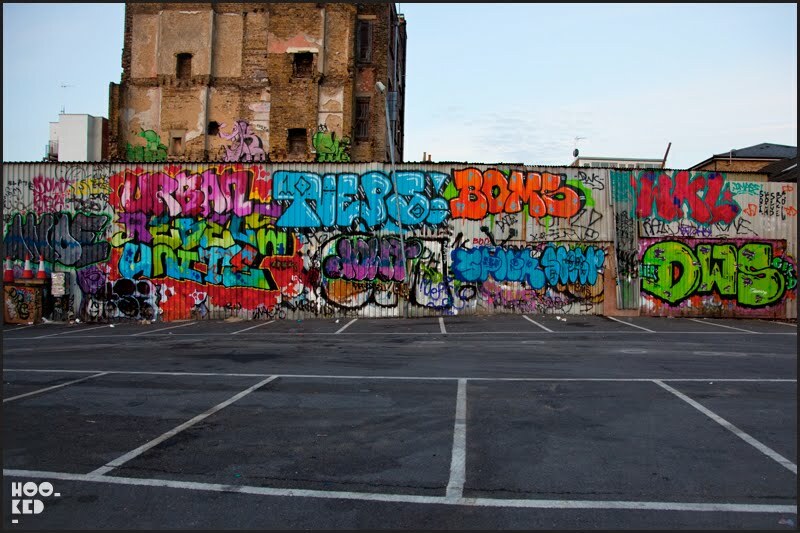 Boms and co. just off Brick Lane. 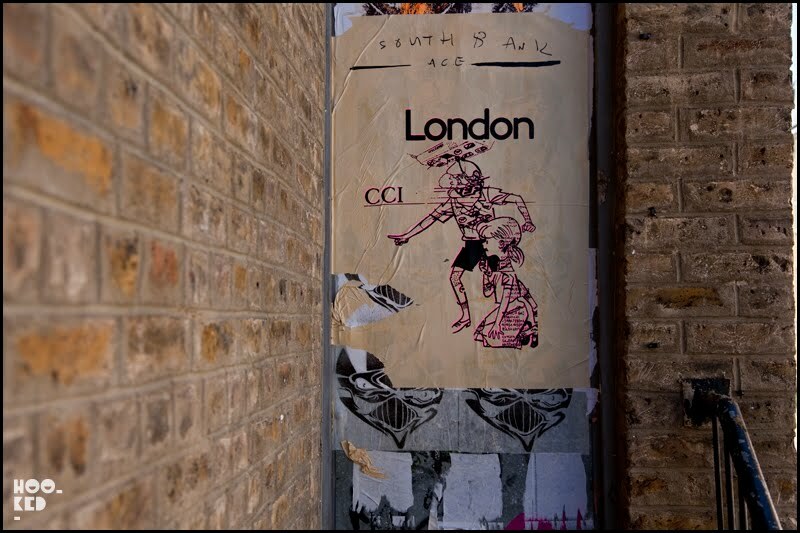 Looks like new work from London street artist A.ce, we caught some screen printed pasteups from the artist just off Hackney Road in East London. See more: A.CE is the new Kate Moss!